Discover how to get your business listed at the top of the search engines without a website. These 60 minute informal meetings (known as a Java Gym’s) are Free and held by Local Search Marketing Experts around the country. The Local Search Marketing Java Gyms give you personal access to local on-line marketing experts who can answer your questions and get you moving in the right direction. All we ask in return is that you evaluate the program honestly and keep us informed of your success. 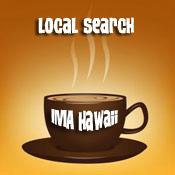 If you own or operate a business that caters to local customers or out-of-town customers looking for the services you provide, you definitely want to attend the Local Search Marketing Java Gym when it’s offered in your community. Discover how to get your business is listed where you’re customers are looking … and how to do it for free. What local search marketing is and why it’s so effective. How to get your business listed in all the local search engines for free? How to build a positive on-line reputation overnight. How to move your business to the top of the local search engines. Josh Sommers is a full time Internet Marketer, the President of the Internet Marketing Association of Hawaii and the owner of CompMaui Computer Repair on Maui. He is one of the few people in Hawaii capable of repairing your computer and then showing you how to use it to earn a living. He is the only person in Hawaii to get a perfect score on the Microsoft MCSE, MCP, CompTIA, A+, Network+ and Security+ Certification Exams. Bob Sommers is the host of the Recognized Expert Marketing Show on Maui and a full time Internet Marketer and Podcaster. He’s also the President of the On-Line Marketing Association of America and author of the following Internet Marketing video training programs.